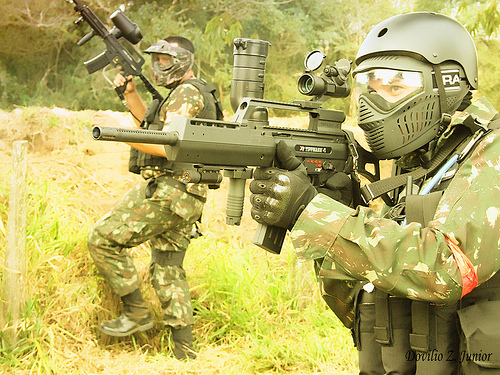 Mega Paintball Dorchester site is set in 65 acres of woodland with varying challenging terrain. Can you storm the two forts to take over the kingdom? Can you ambush the checkpoint to clear the way? Fight your way through the dark woods to gain control of the opposition’s base! They are constantly improving and changing the games so you’ll always have a great day out. There are fully trained marshals to help you enjoy your day and keep you safe. Lunch is provided on a full day and as much tea coffee and squash as you can drink.